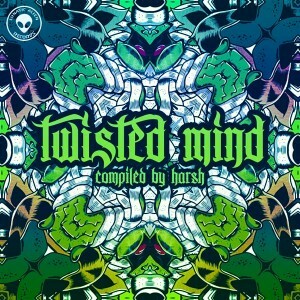 Compiled by Harsh for Lunatic Alien Records, Twisted Mind is a collection of seriously damaging frequencies assembled by artists from all around the globe. With a mix of veteran and upcoming artists, this compilation aims to strike a balance between the psychedelic and the techy side of hi-tech/psycore. Be prepared to be surprised by some sounds that will twist and expand your mind. Let the confusion lead to chaos! Mastering by The Darkface Samuel with artwork by Jay Niria. MP3 Download | FLAC Download | WAV Download · Download count: 21,569. Another amazing release from Lunatic Alien rec! thank you very much Lunatic Alien records for this Amazing Va !! thank you Harsh!!! it was a pleasure to be involved on this!!!! Full support!!! N.Gin… mega Master Track! ! pure energy…w morocco!!!! cheers from ita!!! Guys you are doing a great Job but the download link for the mp3 files is broken. It would be awesome if you reup the file or repair the link. KILLER HI TECH! LOVE THIS RELEASE! Cant stop playing this graceful VA! N gin ! Awesome =) !